By Marije Versteeg-Mojanaga, Rural Health Advocacy Project, published in issue 4 of Spotlight. The stories of health care users experiences with the health system as published by Spotlight are devastating. Various factors play a role when patients’ rights are violated, such as poor planning, inadequate HR management, budget cuts, healthcare worker attitudes, medicine stock-outs, poor policy implementation, and well-intentioned policies that fail to address the rural context. While there is often an interplay of factors ranging from national down to local issues, ultimately there can be no excuse when lives are lost and people experience great, avoidable suffering. 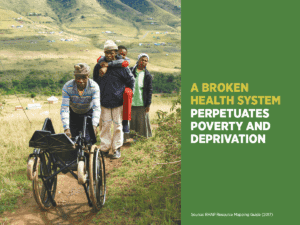 In this publication, I make some comments on the relation between systemic factors and deeply entrenched inequities, and on people’s struggles in realising their health rights at a local level in the Eastern Cape. I will focus on budgets and Human Resources for Health (HRH). The picture gets worse if we take into account medical inflation, salary increases, new policy priorities and growing medico-legal claim pay-outs in the Eastern Cape – to the tune of R196 million in 2016 – which means that in actual fact, the budget for health has decreased. In its annual report for 2016, EC Health points to the fact that under-spending in non-core health personnel posts in District Health Services to the amount of R84 255 000 (84 million rand!) has been used to fund the settlement of medico-legal claims – claims that are often caused by health-system failures. While savings on non-core posts complies with Treasury guidelines, having insufficient cleaners, kitchen personnel and procurement officers at the local level does ultimately affect the quality of healthcare services. No matter how we look at it, in real terms the budget for health is decreasing; and issue 4 of Spotlight shows not only how it affects access to health care, but also describes the impact on those most deeply affected – impoverished communities who often have no alternatives for care, besides digging deeply into personal pockets to book private taxis to facilities further away. Added to these indicators of vulnerability and inequity is the rural context, i.e. terrains difficult to navigate, long gravel roads to facilities, and dispersed populations, which further complicate access to health services for disadvantaged communities. From a transformative and social justice perspective, government has an obligation to take this background into account when planning healthcare services and prioritising budgets and health personnel. This starts with allocating sufficient funds to health from total revenue. 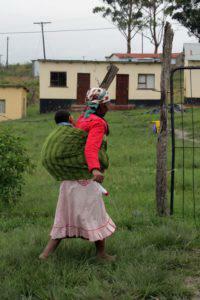 But while the Eastern Cape Department of Health might rightfully argue that its current health budget is insufficient to provide quality healthcare services immediately to all who need them, questions ought to be asked – whether the department, when implementing austerity measures, adequately protects and prioritises those communities most in need, most disadvantaged, and with the least access to resources to protect from further household shocks due to health-service rationing? In our publication, Cutting Human Resources for Health – Who Pays (2017), the Rural Health Advocacy Project reports on its investigation into the impact of budget cuts on spending on human resources for health in OR Tambo District. According to the District Health Barometer (2017), OR Tambo District has the third-highest rate of teen pregnancy in the country, with 11.5% of deliveries in health facilities being to women under the age of eighteen (compared to the national average of 7.4%). This figure reflects poor levels of education and access to reproductive health services, and indicates risk of poor health outcomes for infants and children. The maternal mortality rate of 198 (per 100 000 live births) is also substantially higher than the national average (133), reflecting poor access to health care during pregnancy, birth and postpartum. This is reinforced by the fact that only 40.7% of mothers delivering in facility record a postnatal healthcare visit within six days of birth. Tuberculosis is rife in the district, with a reported incidence of 820 per 100 000 population, nearly 30% higher than the national rate of 593 per 100 000. Immunisation coverage in children is also well below government targets in this part of the country, with only 73.2% of all children in a sample of 470 children tracked over time in OR Tambo District being fully vaccinated at 24 months (Le Roux et al, 2017). We also tell the individual stories of people trying to navigate the health system to seek care for their loved ones; such as a grandmother from Nyandeni Sub-District in OR Tambo, who carries her 15-year old grandchild with cerebral palsy on her back to access the clinic. Soon she will no longer be able to carry his weight. Her grandson is malnourished, and he urgently needs to see a dentist and a dietician and have a change of medication. But the lack of such health cadres locally and the costs of travelling make it impossible for the grandmother to access these types of services. In essence, this means the household is left to fend for themselves. The hospital rendering care to the people of Nyandeni is Canzibe Hospital, serving a population of 143 000. For a long time, this hospital has not had adequate therapy services for the prevention and management of disability. Within a period of a year the hospital also lost six of its seven doctors – for various reasons, such as completion of community service, and doctors returning to their countries of origin. It took an intensive multi-stakeholder advocacy campaign of 10 months to have the doctor vacancies filled. In the meantime a lot of harm was done, with sick patients travelling to further-away hospitals at their own cost, or deciding not to seek care at all because of the unreliability of the system and the effort and expense involved. Clinics stopped referring patients, ‘as there is no doctor available’. This in turn impacted utilisation rates, which inform budget allocations; and the unmet health need in the community increases. Canzibe hospital today has no occupational therapists; nor does it have speech or audio-therapists, and 143 000 people rely solely on one part-time volunteer physiotherapist and one assistant. (The creation of therapy Community Service (comserve) posts for 2018 may bring some relief.) However, there is no dentist for Canzibe, and no community health workers, apart from those employed by a very well-run service delivered by an NGO – which covers only two out of 13 wards, but which demonstrate the enormous need for and impact that can made by community health workers. The situation in Nyandeni Sub-District is just one example of many. While collaborative advocacy made a difference in this case, and helped mobilise resources for health care for this sub-district, health systems planning ought not to depend on outside advocacy. It should be based on rational, evidence-based planning tools that prioritise the most vulnerable residents in the country, first and foremost. 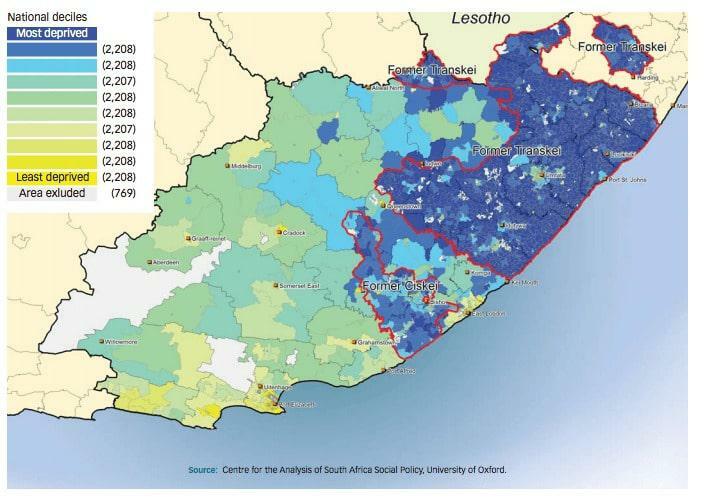 The release of recent organograms in the Eastern Cape makes one hold one’s breath for what more lies ahead, with smaller rural facilities facing significant downscaling; leaving a facility such as Canzibe without a CEO position, and more junior staff responsible for time-consuming and important administrative matters, such as motivating for the filling of healthcare-worker vacancies. An analysis of rehab therapist comserve allocations further reveals very concerning inequities. In 2017, of all community service posts for therapists in the province, 30% were allocated to rural facilities, with posts for 2018 remaining disappointingly low at 31%. What is worse is that some urban facilities receive six or seven therapists, while a facility such as Isilimela Hospital – also in OR Tambo District, and serving impoverished rural communities – has no allocation at all. To further aggravate the situation, Isilimela did have comserve therapists in 2017. Without any permanent posts and no new comserve posts, where does this leave the current patients of this catchment population? While difficult decisions need to be made when budgets shrink, we cannot take away services. When we are faced with a financial and political crisis and a shrinking Government purse, how we set priorities matters more than ever. As a collective of citizens, communities, NGOs and other stakeholders, we can question whether health care is getting its fair share; and whether within health we are protecting the most vulnerable. We need to call for innovative solutions, such as free and reliable patient transport services; promote cost-effective measures that will improve access for the people most left out, such as investing in community healthcare workers – which, not unimportantly, also creates jobs that will lift households and communities out of systemic poverty. But as we have seen, we must be very critical of approaches that focus primarily on utilisation rates and economies of scale, as they discriminate against historically marginalised groups. Beyond maximising health outcomes through cost-efficiencies (utilisation rates and economies of scale), the WHO urges health systems to address two other (equally important) health-system goals: 1) reducing inequities, and 2) minimising the financial burden on patients. This means taking into account the rural location, whether or not communities can access alternative services without shifting transport costs to patients, and protecting and prioritising poor and marginalised patient groups and communities. Currently, we are performing poorly on these principles of a just health system; and the human impact is staring at us in this report.